Blacksite / Danger Zone Map Guide (Loot Spawn). How to Win in Danger Zone Game Mode. If you have only bare hands to fight and click right mouse button and if you somehow manage to hit the enemy you can actually disarm him. Never be afraid of using medi-shots, most probably you cant run away from a fight if you already started since map is not big at all, so even when you think your health is high enough, use it, plus it gives a speed advantage for a little time. You simply collect money to get weapons, armor, helmets or anything you can find on your on your tablet, try not to miss them. Drones deliver those things that you can buy with your money and when you order a gun or whatever, you can follow that drone with your tablet. If you see a drone in-air that means someone else ordered some goods, if you have enough bullets shoot those drones to collect what is inside and don't forget the fact that others might do the same to your delivery as well. Just a quick tip; you can follow the drone to find the person and kill him and collect the goods as well. You can secure hostages or eliminate a high value target for money, those are kind of mini-game so I recommend you to do it, you can see where your special target is from your tablet map. When you are landing to the place you choose, try to scan your surroundings and see if any enemy is close to you since everyone lands in the same time. You can open some crates by puching the crate. When you find some bullets, it will give the bullets of the gun that you are currently holding it. You can check if you are in zone or not from your tablet and every second when you are not in zone that will drain your health.Red hexagons are out of zone. You can find parachutes and to deploy it you need to be mid-air and press to jump button. You can use axe, hammer etc. to open some other big crates. Yellow hexagons on your tablet shows where your enemies are so it is kind of radar hack. Bullets are not much in that game mode so dont waste them. 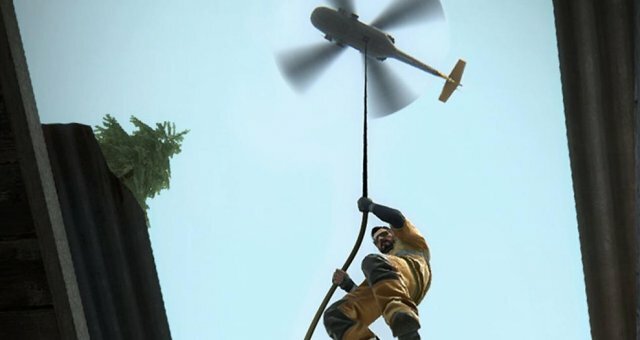 Helicopters drops supplies randomly and those supplies are things that you can make you win the game, so dont ignore them. If you have money, spend it. There are some doors that you can get through only by paying and there you can find a good weapon or just a molotov so it is your gambling. You can plant C4 to anywhere you want. You can set a turret to shoot to other guys automatically or they can set too so be careful. If you are playing duo or squad better to stand so close to each other since it is not PUBG or Fortnite and there is no being knocked, at least not yet.If you die, you die. Written by I belong to Joyce.